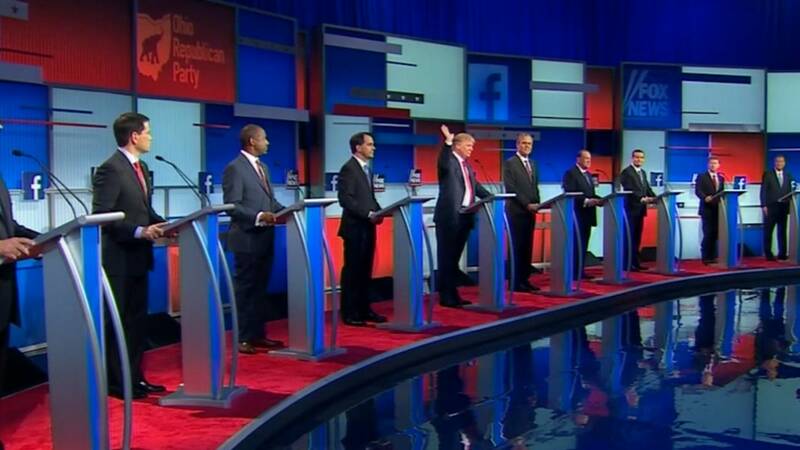 Miss the first GOP primary debate? Here's our live-blog to recap! But first, here's analysis from Perry Bacon Jr. on how Trump showed he won't bow to political conventions. Trump called in to Morning Joe to complain that FOX News "didn't play fair." And he tweeted his complaints, too. 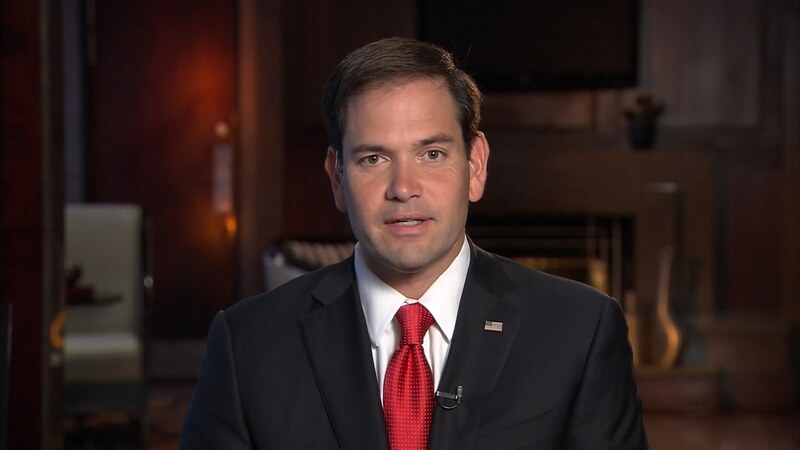 And Marco Rubio, who's being lauded this morning for his debate performance, said on NBC's TODAY that "I have confidence that the Republican nominee is going to be a Republican." 11:05pm ET: Who did well? Who flopped? Who exceeded expectations? Who surprised the most? Cruz didn't get as much on air time but he made the most of it. Don't sleep on Cruz in the conservative bracket. Walker didn't do anything poorly but at times he seemed to disappear. Paul came across as almost too eager to combat. @chucktodd with a very good question: How is conservative media going to treat Trump's answers in the next 72 hrs? 11:02pm ET: Trump gets the final word with closing statement. "We can't do anything right...We must make our country great again." 10:56pm ET: More Carson: "I'm the only one to take out half a brain, but if you went to Washington you would think someone had beat me to it." 10:55pm ET: No question on faith to Trump! But Ben Carson responds to a question on why he does not speak more about race, explaining that - as a neurosurgeon - he operates on the "things that make us who we are," not skin. 10:53pm ET: Rubio, before a serious answer on the God question: "He has blessed the Republican Party with some very good candidates. The Democrats can't even find one." 10:48pm ET: A Facebook user asks: "I want to know if any of them have received a word from God on what they should do and what they should take care of first." First response to Ted Cruz, who tells the story of his father's conversion and his evangelical background. "I have been brought to stand and fight for religious liberty," he says. 10:42pm ET: Asked about people who are transgender serving in the United States military, Mike Huckabee: "The military is not a social experiment. The purpose of the military is to kill people break things." 10:35pm ET: Rand Paul on gay marriage: "I don’t want my marriage or my guns registered in Washington." 10:34pm ET: Kasich asked about his opposition to gay marriage. He says he's an "old-fashioned person" and believes in "traditional marriage" but adds that he went to a gay wedding and would love his children if they were gay. 10:30pm ET: Kelly brings up big POLITICO story from this morning that cites Bush privately calling Trump a "buffoon," among other things. Bush denies but suggests that Trump's rhetoric is "divisive." Trump's response: "We don't have time for tone. We have to go out and get the job done." 10:27pm ET: What a question to Trump: "When did you actually become a Republican?" Trump: "I've evolved on many issues over the years." Trump's been Trump. And so far that hasn't hurt him. Will it this time? 10:15pmET: On to Iran negotiations. Rand Paul begins by saying he opposes the deal but adds that he's not always opposed to negotiation. "President Obama gave away too much too early." 10:12pm ET: Who's getting the most air time? The least? NPR's Domenico Montanaro. 10:10pm ET: Trump gets a question on his businesses filing for bankruptcy four times. "Out of hundreds of deals that I’ve done, on four occasions I have taken advantage of the laws of this country," he says. "The difference is when somebody else uses those laws, nobody writes about it. When I use them, everyone says Trump, Trump, Trump." 10:05pm ET: Chris Christie and Mike Huckabee now battling over entitlements. "He's not lying, he's just wrong," Christie says. 10:02pm ET: The first major questions on the economy come -- almost an hour into the debate. 10:00pm ET: "If Hillary is the candidate, which I doubt, that would be a dream come true," says Ben Carson when he's asked about Hillary Clinton. Adds "she is the epitome of the secular progressive movement...taking advantage of useful idiots." 9:57pm ET: Trump boasts of giving money to candidates, including "most of the people on this stage." That earned this tweet from John Kasich's account. 9:50pm ET: Scott Walker tries to steer the conversation towards criticism of Hillary Clinton. 9:45pm ET: Asked about his past support for single-payer health care, Donald Trump protests that it works well in Canada and Scotland. "What I’d like to see is a private system without the artificial lines around every state." 9:42pm ET: Jeb Bush his Iraq War response: "Knowing what we know now with faulty intelligence and not having security be the first priority when we invaded, it was a mistake, I wouldn't have gone in. However, for the people that did lose their lives and the families that suffer because of it, I know this full well because as governor of FL, I called every one of them, every one of them that I could find to tell them that I was praying for them, that I cared about them, and it was really hard to do." 9:40pm ET: We'd been wondering where Ben Carson was! He gets a question on waterboarding. "What we do in order to get the information that we need is our business," he says. 9:35pm ET: A big confrontation between Chris Christie and Rand Paul over NSA surveillance. Paul says "I want to collect more records from terrorists and less from regular Americans." Christie shoots back: "That's a completely ridiculous answer ... .when you sit on a Senate committee you can blow hot air on this." And Paul retorts with a reference to Christie's notorious hug with President Barack Obama. "I don't trust Obama with our records. I know you gave him a big hug..."
9:30pm ET: John Kasich weighs in, says Trump has "hit a nerve." "People who just want to tune him out, they’re making a mistake." 9:28pm ET: Trump pressed on whether he has specific evidence that Mexico is "sending" undesirable people to the U.S. "If it weren’t for me, you would not even be talking about illegal immigration," he shoots back. Jeb: There should be a path for earned legal status for those who are here. Not amnesty. Pay a fine, do many things over a period of time. 9:20pm ET: Questions to Rand Paul on ISIS, Mike Huckabee on abortion, and John Kasich on Medicaid expansion. I am the leading voice in America for not arming the allies of ISIS. ISIS rides around in a billion dollars of U.S. Humvees. 9:06pm ET: Rand Paul was the first candidate to jump in and attack Trump. "He buys and sells politicians of all stripes... he's already hedging his bets on the Clintons!" 9:04pm ET: Wow. First question is to all candidates, asking if they WON'T pledge to support the eventual Republican nominee and NOT run as an independent. Donald Trump raises his hand. 8:59pm ET: FOX moderator Megyn Kelly says that Carly Fiorina "unleashed a can" during the 5pm ET debate for candidates who did not make the top 10 cut. 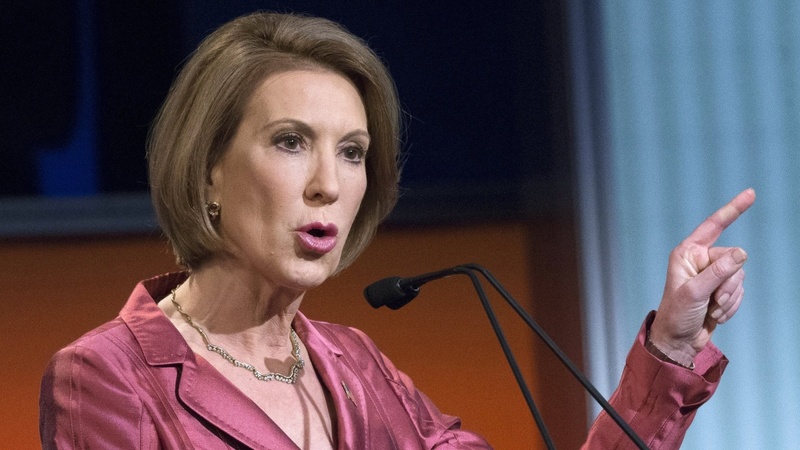 Here's our story about Fiorina's performance at the "Happy Hour" debate. 8:56pm ET: "This is the picture you'll see on the front pages of all the newspapers tomorrow, " moderator Chris Wallace says as all the candidates stand together on stage. 8:55pm ET: Here we go! The candidates are taking the stage in Cleveland. 8:30pm ET: NBC News will be live-blogging the first GOP primary debate in Cleveland, Ohio, culling the best news and analysis from our team on the ground and our political unit back in Washington. Ten candidates will appear on stage for the debate moderated by FOX's Megyn Kelly, Bret Baier and Chris Wallace. The candidates are: Real estate magnate Donald Trump; former Florida Gov. Jeb Bush; Wisconsin Gov. Scott Walker; former Arkansas Gov. Mike Huckabee; retired neurosurgeon Ben Carson; Texas Sen. Ted Cruz; Florida Sen. Marco Rubio; Kentucky Sen. Rand Paul; New Jersey Gov. Chris Christie; and Ohio Gov. John Kasich. FOX held a debate earlier Thursday featuring seven candidates who did not qualify for the primetime debate due to low poll numbers. You can read NBC's coverage of that event here and here.